Harry and Meghan’s new Instagram account, SussexRoyal, has broken the record for fastest to hit one million followers—just in time for the very significant upcoming photo op of their baby’s arrival. The man who previously had the handle is a little miffed, but it’s fine! “The Duke and Duchess of Sussex created their own platform this afternoon but failed to connect with Prince Andrew in an humiliating moment for Prince Harry’s uncle,” according to the Express. 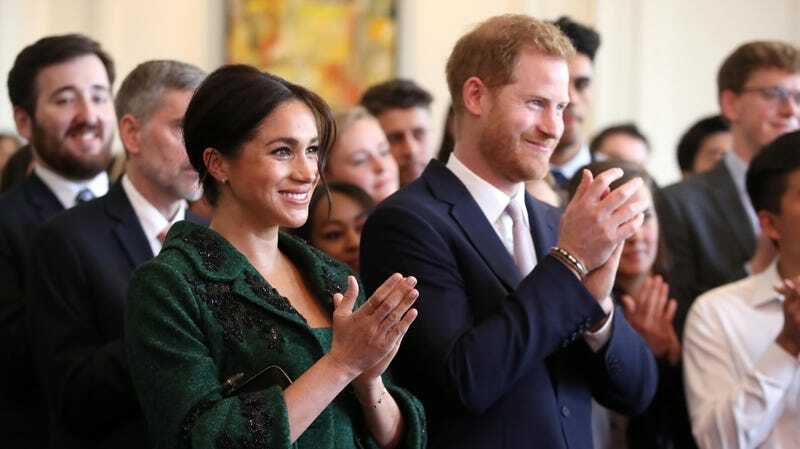 “The move has further showcased Meghan and Harry’s independence from other royals following their split from the Duke and Duchess of Cambridge and Kensington Palace.” Yes, in a SHOCKING snub, they followed Kensington Palace, Clarence House, and The Royal Family first, and then everyone and everything else roughly two hours later. HUMILIATING! UNPRECEDENTED! Sometimes I truly worry they are going to pull a muscle reaching so hard, so far.